This evening Passover begins. Jewish families around the world will gather at sundown to eat the holiday foods and read through the Haggadah or “telling” of the Passover story. Let’s take a moment to reflect upon Jesus participation in this timeless celebration of freedom. When John first saw Jesus approaching through the Judean wilderness he declared, “Behold, the Lamb of God who takes away the sin of the world.” In that one statement three thousand five hundred years of faith & history converged in Jesus. The prophetic symbols of Passover would be fulfilled and at the same time, He would Himself be projecting prophetic truth that resonates in our lives to this day. culture. A sense of justice prevailed. The death of an innocent would procure release for the guilty. Animal sacrifice was also made to honor and show favor to the the gods of antiquity. It was a kind of bribe. The life of an innocent could mitigate a natural disaster like drought, flood or famine. But in Israel, the Lord explained it in another way. The Scripture tells us that “the life is in the blood”. Israel was forbidden to eat blood. All meat was drained of any blood before consumption. The blood of bulls and goats would be collected at the time of sacrifice and placed on the altar as a covering for sin, a life for a life. 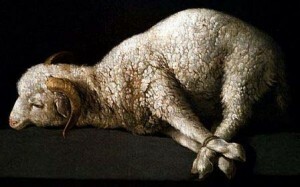 At Passover however, the blood of a spotless lamb was placed on the doorway as a sign of covenant. Death could not penetrate that blood. It stood between the living and the dying as a symbol of the power in the life of God. 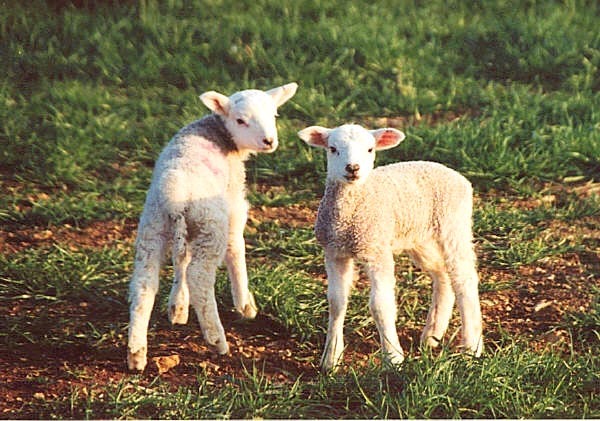 Every Passover thousands of lambs would be sacrificed in the Temple in Jerusalem. To make it easier for pilgrims traveling long distances, lambs were raised in nearby Bethlehem and brought into the city for sale. I find it no coincidence that Jesus was born in Bethlehem. 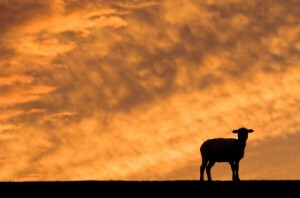 He not only fulfills the prophecy of Micah but as the Lamb of God, He takes His place among the other sacrificial lambs in the fields around the city. On the Tuesday before the crucifixion, multitudes of men would be gathering in the Temple area to inspect and purchase the lambs. There could be no defect. Each lamb must be healthy and strong. Walking through this seasonal market we would hear the cacophony of bargaining. As in the Middle East today, much haggling over price would precede any purchase. When at last an agreement was reached, the money changed hands, the lamb was secured and the rest of the preparations would be made. take a special sacrifice of blood to remove sin and cause it to be forgiven. Jesus was and is that sacrifice. The blood of a child is not determined by the mother but by the father. Mary, having been overshadowed by the Holy Spirit and conceiving, did not pass on her human blood to Jesus. His blood was something of God. If, as Scripture tells us, the life is in the blood, then the blood of Jesus was not just a substance of human life but of divine. It could only be this blood, containing the life of God, that could die, forever remove sin and rise again. Passover is upon us. Have you brought home your lamb?